The Obama administration was at it again recently when it announced that all people leasing private homes on Lake Mead (federal property) will not be allowed to stay in their homes overnight, thereby essentially forcing residents out of their homes, until the government shutdown is over. 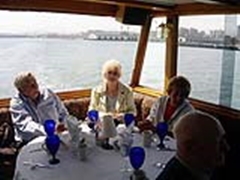 Many of those who lease from the government at Lake Mead are the elderly. 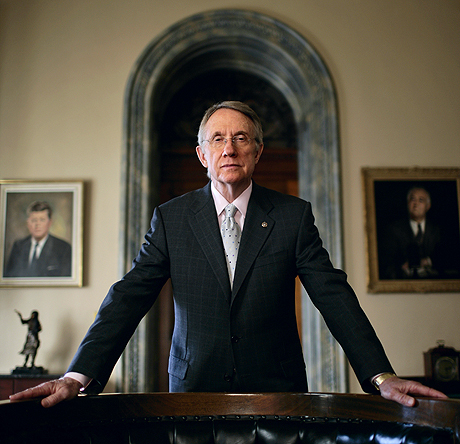 While it is unclear, if the terms of the lease agreements between the government and the residents provide for such temporary evictions in the unusual event of a government shutdown, what is clear is that others leasing land from the federal government have not been similarly impacted. President Obama’s administration has been very careful not to “rock the boat” with Native American’s living adjacent to and on federal property. Prior to the government shutdown, in an effort to stimulate certain development on Native American lands, the Department of the Interior (DOI) proposed new rules to expedite leasing permits for residential, business and wind and solar leases. Yet following the government shutdown, there does not appear to have been even one of the 565 federally recognized tribes negatively impacted by the administration’s forced closures. At least, nothing has been reported by the mainstream media. There have also been no reports of evictions of Native Americans off of federal land, such as the Grand Canyon, that they are leasing. Nor has there been any evidence that the issuing of leasing permits to Native Americans has been slowed or temporarily terminated because of the shutdown. Yet it would appear that the administration has no hesitation in evicting non-Native Americans from Lake Mead who also hold a valid lease agreement with the federal government. The reason for this unequal handling of the non-Native Americans (mostly elderly) and the Native Americans seems obvious. Temporarily relocating or briefly evicting the Native American population would be “politically incorrect” and a public relations’ nightmare for President Obama while this same eviction of the elderly quietly evades the mainstream media’s front page news. 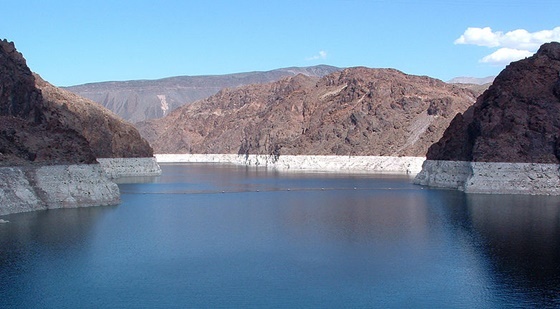 The boaters of Lake Mead are not remaining silent, however. According to KTNV Channel 13, an ABC affiliate in Las Vegas, Nevada, dozens of protesters were to be towing their boats down the Las Vegas Strip, Sunday, October 06, to stage a protest against the Lake Mead closing. Americans should stand in solidarity today with those protesters who refuse to sit down and be quiet because the Obama administration has proven it is out to make a point even if it means unfairly applying a double standard! Susan Knowles is a Licensed Marriage & Family Therapist, former Family Law Attorney, and author of a political fiction, “Freedom’s Fight: A Call To Remember,” available at Amazon. By now, most Americans are familiar with the recent government shutdown. Who is to blame for the shutdown is hotly debated by the mainstream media and both the Republicans and Democrats in Congress. It has been impossible to turn on the television without witnessing the “mudslinging” between the parties as to who is at fault. As a result of the government shutdown, there have been many closures announced by the Obama administration that have come into question. Many war memorials, parks, and other federally-funded sites have been ordered closed all to the chagrin of the American public. However, a new closure announcement from this administration may be a violation of the First Amendment rights of those serving in the United States Military. John Schlageter, general counsel for the Archdiocese for the Military Services, a provider of Catholic Priests for the military service members, both in the United States and abroad, indicated that these priests, many of whom are contract priests (non-governmental or civilians) will not be allowed to celebrate mass on military bases during the government shutdown. 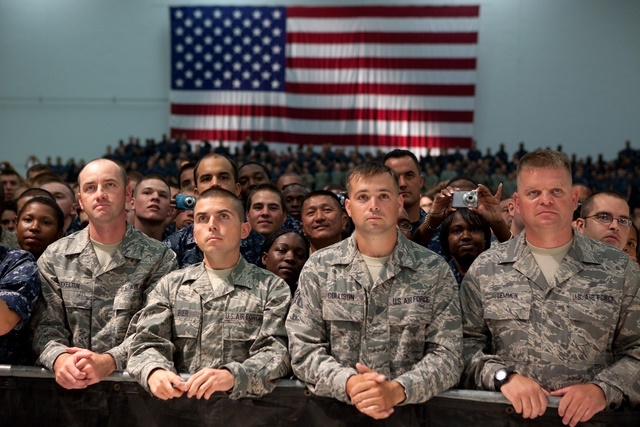 The result would be that those in the military who are unable to leave the base and attend services elsewhere would be denied the right to practice their faith. Others may argue that this most recent announcement from the administration is nothing more than an attempt to use the military to hold the Republicans blameworthy for yet another closure due to the government shutdown. The Republicans would most likely argue, however, that in addition to casting blame, this latest action taken by the Obama administration is clearly an attack on the military’s First Amendment Rights. The Republicans raised concerns in July 2013 that religious expression in the military is “under attack” and offered the 2014 National Defense Authorization Act that includes language which states that, “Except in cases of military necessity, the Armed Forces shall accommodate the beliefs, actions, and speech of service members.” This act expands protections to include religious “actions and speech.” Not surprisingly, the Obama administration raised concerns, citing a Commander’s inability to appropriately address conflicts in the rank should it become law. What is interesting to note, is that these priests are facing arrests if they celebrate mass in churches located on military bases and are not permitted to work – not even to volunteer, according to John Schlageter. A glance at the website for the Archdiocese for the Military Services indicates that this organization does not receive funding from the federal government for providing priests to the military and therefore, would not be causing the government to spend any funds during the shutdown. Also, even if they were receiving government funding, which they are not, they are not even allowed to volunteer their services in order to assist the military members in practicing their faith. What steps should now be taken, if any, by these priests? These priests are under civil law but they are also charged with following God’s law. One look at Romans 13, tells Christians that they must obey state authorities unless there is a law or command that would violate God’s Word (Exodus 1:17, 20 and Daniel 1). It appears that these priests will be faced with having to decide whether this order from the administration constitutes a command that violates God’s Word or law. What will they conclude? Only time will tell. 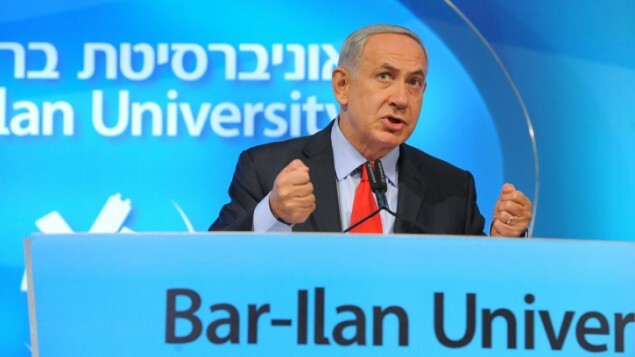 I am referring to the speech Prime Minister Netanyahu gave at Bar Ilan University last night. There had been considerable anxiety prior to that talk. Four years ago, when he delivered a similar talk at Bar Ilan, he first embraced the “two state solution.” In the run-up to his talk this time, the word was that he was going to announce a change in policy. Rumor had it that it would involve a proposal for an “interim” state, since reaching a final accord would not be possible; but such a proposal would have been a disaster. Thus were we most pleasantly surprised when no such proposal was advanced. Nor was any suggestion made that we have to give more, sacrifice, etc. etc. in order to make an accord possible. What a relief! This talk by the prime minister indeed did represent a new policy. What he has done – which is marvelous and long overdue – is to tell the truth about the situation and put the onus where it belongs: squarely on the Palestinian Arabs. This was truth that was unvarnished and most definitely not politically correct. He spoke for the Israeli position. I have been surprised as to how little press this talk has received, for the policy it enunciates inevitably will have considerable impact on the “negotiations,” and on the diplomatic climate more broadly. I had delayed posting last night, in the hope that the text of his talk, in English, would be available this morning. But when it was not, I wrote what follows below as summary — drawn primarily from my notes taken as he spoke. Yet now, at this very moment, as I am about to put this out, I have discovered that the full text of the talk is at last available, put out by the prime minister’s office and up on IMRA. I will leave my summary, in hopes that it will be helpful to you — and provide full links following. The full speech, needless to say, is more powerful than any summary. We are the exception to the pattern of history. We were on this land (Israel) 4,000 years ago, and we are here now. This is, at once, our history and our future. We have achieved a peace agreement with Jordan, and with Egypt – which has not been easy. And for the last 20 years, without success, we have been attempting to reach a peace agreement with the Palestinian Authority. To bring about the end of the conflict, we must understand the root of that conflict. We are told that it is “occupation” that is the root: that “settlements” perpetuate the conflict. But in reality, the conflict began in 1921, when Palestinian Arabs attacked Beit Haolim in Yafo (Jaffa), which housed new Jewish immigrants. “Many Jews were killed in this attack, including the well-known writer Y.H.Brenner. This attack was directed against Jewish immigration. From 1936-39 there were multiple Arab attacks against Jews. In 1947, an Arab state was proposed in part of Palestine, along with a Jewish state. But the Arabs refused. The issue wasn’t an Arab state, the issue was a Jewish state. The Palestinian Authority is not the same as Hamas. But there is still a problem. They won’t even forgo the “right of return,” which would bring millions of Arabs into Israel, undermining its Jewish nature from within. There will be no peace until they recognize the nation state of the Jewish people. Now, the senior leader of the Palestinians from 1921 to World War II was the Mufti Hajj Amin al-Husseini who actively cooperated with the Nazis and encouraged the genocide of the Jewish people. There is even evidence that he visited the gas chambers with Adolph Eichmann. These roots must be eradicated: The Palestinian movement still admires the Mufti. The root of the conflict is the [Palestinian Arab] opposition to the right of the Jewish people to be in the Land of Israel. We must hear the PA leadership acknowledge our rights before we can proceed to other issues. And the next issue, first and foremost is security. We would need arrangements that provided genuine security, without the presence of international troops [something that is often proposed]. That the state would have to be demilitarized is obvious, given our experience. After generations of incitement [by the PA], we do not have security. Even if the PA leadership were to accept the concept of a Jewish state, and a Jewish people living in the Land, we do not believe this concept would trickle down to the people. We would still need security [i.e., against continuing terrorism]. But first they have to recognize the nation-state of the Jewish people. Netanyahu did not say, as many would have wished, that negotiations are terminated forthwith. But he made it clear that they’re not going anywhere, and that no one should expect a final deal in the early months of 2014. 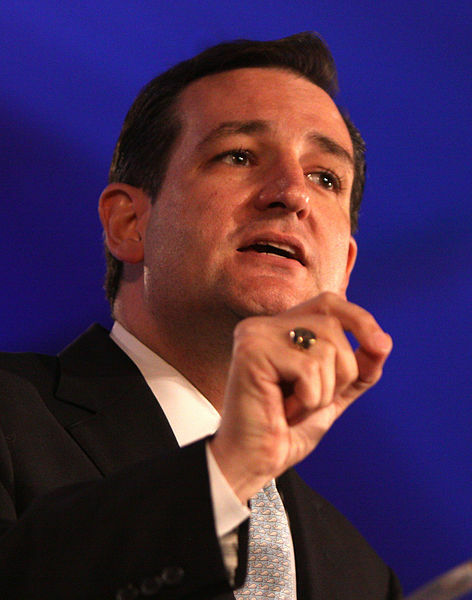 He said nothing about obligations Israel has. to make further “concessions,” to advance those negotiations. He’s finally got it right: First things first. He did not say we would be annexing Judea and Samaria forthwith – not even Area C. But he did say that the Palestinian Arabs are on our ancestral land. The implication, as he said it, was that under the right conditions he might consider the establishment of a Palestinian state on part of that land (a difficult sacrifice). That is most regrettable, but he knows, we all know, that we are not going to see the development of those “right” conditions. What I think is important here, is that he has begun to stand for Israeli rights, including rights to the land. SAYING that it’s our land — while a given to many of us — is significant, as Abbas eternally babbles on about the ’67 line and is forever denying our ancient connection to the land. THIS is what the world needs to hear, enunciated first by our head of state. What is happening here is a beginning of a new time that can move in due course to that annexation – if we are mindful of what needs to be done to stay strong and to promote this. For so long – since the beginning of Oslo – our rights have gotten lost because support of the Palestinian Arabs was politically correct and because they spoke out their demands loud and clear, while many of our leaders equivocated. It is a source for celebration, that we should begin to see this turn-around. I am aware of commentators who are disgruntled because Netanyahu’s turn-around was not complete. Me? I see a process and greater cause for optimism. I see possibility. I cannot emphasize enough the importance of all of us staying the course now. Every word Netanyahu spoke about the Mufti is true, but I would add this: The Mufti was al-Husseini. Yasser Arafat was from the Husseini family and the Mufti was his mentor. Arafat referred to him as “uncle.” Mahmoud Abbas, before succeeding Arafat, was for many years Arafat’s disciple. Connect the dots, my friends. These people have no legitimate claim to anything. As this speech has not received much press, I ask that you share this posting very broadly, so that people can begin to understand our prime minister’s new, enunciated position. Elder of Ziyon has provided a link to a video of the talk, which was, of course, in Hebrew. It has English translation voice over, and you will find it more audible if volume is not too high. The video is of the entire proceedings at Bar Ilan last night — with a host of introductory goings-on. The prime minister begins his talk at about 50 minutes. If you want the content on Israeli-Arab relations that is summarized above, go to almost 1 hour. It is worthwhile to see his presentation, because he is excellent. Noam Glick, a little girl of nine, was shot this week by a terrorist in her own yard, in the community of Psagot, which is in the Binyamin area of Samaria, not far from Ramallah. She had startled a man who was about to enter her house; he shot her and fled. Thank Heaven her injury, because of its location, was not serious. 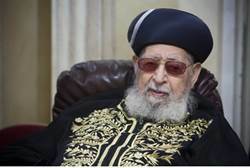 Rabbi Ovadiah Yosef, former Sephardic Chief Rabbi and major authority in halakha (Jewish law), passed away today at 93 after a long illness. He has been spiritual leader of Shas since its founding. Over half-a-million people attended his funeral today in Jerusalem. “I have known Rabbi Yosef for years. I met with him at his request, in order to present to him my views on security matters and political issues. I also met him several times, when I was IDF Chief of Staff and Defense Minister. Speak Up, Time Is Short! Well, how did you like my last article? Just a little scary. Well, it was supposed to be. Today I would like to talk about preventing that if we can. When you have the NSA looking over your phone calls or e-mails, don’t you think you should say something? We also have to cut ties with our chosen political party. We now know they don’t have our interests at heart at all and they think we are some kind of circus show to be played with. During this recent shutdown, when a political person who is still getting paid is whining about the tragic government shutdown and wasting your time and money fencing off open fields, there’s a worm hole effect going on. As you may or may not know, there was a little known bill passed to make government propaganda legal with the media’s help and it’s showing up on all the Obamacare Week shows on NBC. Then there’s that moron who the media played off of as the poster child for a successful enrollment website. Turns out, he’s a full on Obama volunteer who even lied about his own father being added to the plan… wah, wah, wah. Even MSNB, CNN and THE BLAZE couldn’t enroll because of the computer glitches that after 3 years they still couldn’t seem to get right. Even Hollywood is getting desperate to get the average American to support and sign up for Obamacare. But it’s not happening — the crash is happening ahead of time with maybe 0.5% of the country’s uninsured actually applying, with whole states at a 0% sign up rate. The Obama White House has been harassing Gibson Guitar for a couple of years now. They harassed HOBBY LOBBY with fines and wasted time in court over abortion. Then there’s all the off and on closings of areas that the government doesn’t own or operate from the WWII Barrycades, to the more recent traffic cone blocking of pull off areas to take pictures of Mount Rushmore, to the government entertaining the idea of get this… closing down the oceans. The IRS has lost any credibility and the fear factor they invoke should be gone by now. They finally gave one of the TEA PARTY groups their tax status after 3 years. We already know that groups like FACEBOOK and GOOGLE plan major changes to Internet access and availability in order to comply with the government, instead of being on the side of their own customers. We need to do something now and I mean, right now, because time is short. We have maybe a year if we’re lucky, to turn around and pull back the government as much as possible. The phone calls and e-mails are a good start. Letter writing was good at one time, but they don’t read anything any more. Come on! They don’t read the Constitution for crying out loud. We have to continue the non-violent protests and keep showing up in Washington, DC full force and not just once in a while. We need to show up as much as possible every week. Think about how Washington would feel if the TEA PARTY, 9/12 PROJECT, FREEDOM WORKS, 2 MILLIONS BIKERS, THE TRUCKERS, VETERANS, CIVIL RIGHTS MARCHERS FROM MARTIN LUTHER KING’S TIME, THE ENGLISH DEFENCE LEAGUE all showed up at once in DC and protested the same thing as a united front. That would make Washington notice real fast, don’t you think? And doing this at the local level is just as important as well. It’s vital to peacefully defy the Progressives at your city council meetings and to protest Common Core and other tyrannical brain washing government techniques. The letter writing and op-ed articles are just as important. No matter what, don’t let anyone intimidate you period and please be assured that if you see a security guard at a school board meeting, you know something is up. Be sure to show up in force — bring you neighbors and friends who are united. They don’t need to agree with you on everything. Let’s be honest… when it comes to doing the right thing, party membership doesn’t really matter as of now. I implore you that if you decide to lead, do so by peaceful protests. Please, please read your history on civil discourse. Read up on Dr. King and Gandhi. Look up the tactics of the radical left, so you know what not to do and so you don’t play into their hands with the traps they will set for you when they know who you are. Watch all the events and movements that GLENN BECK has led and operated. Those were the most united events anyone has ever been to, with no violence and the clean up crew having very little to do afterwards, because the crowds cleaned up after themselves. Be careful about who you let in as well. Some radical groups well inject operatives into your midst in order to cause chaos and disrupt and ruin the cause. So be mindful of who’s with you or who’s an operative.